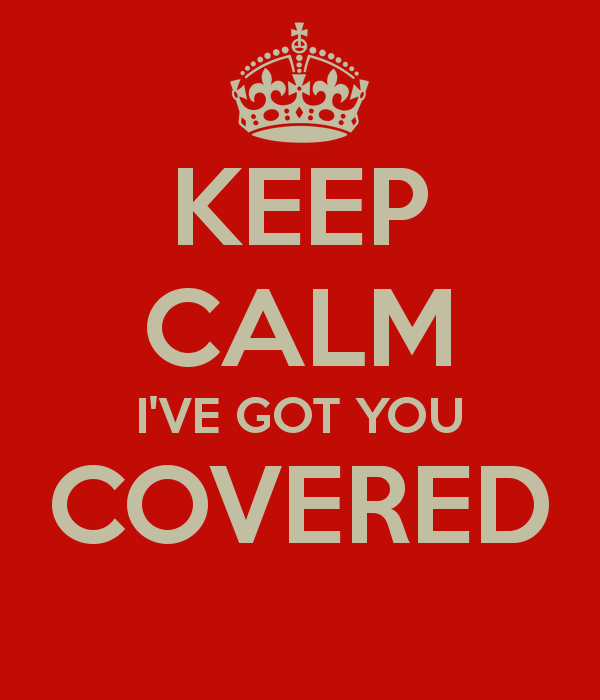 I Have M.J. Carter Covered! Our recent house guest seems to have rejuvenated me. I've been doing various little things around the house that I've meant to do for a long time. I hope you're sitting down because I'm still even paying attention to house cleaning chores. (Shocking, eh?) I've also been working through blog posts with more vigor and enthusiasm-- to the point where I may get far enough ahead to work on some long-term projects. If this is the result, I'm telling him that it had better not be another three years before he comes for a visit! This renewed energy also has me looking at all the usual things in a slightly different way, and that includes this particular post. Always before, I'd take a look at the covers for either the paperback or hardcover editions in the US and UK, but then I came across something interesting about this week's book at Amazon UK-- at least in the eBook edition. Let's take a look! The second book in M.J. Carter's excellent historical mystery series featuring Jeremiah Blake and William Blake will be available tomorrow. In fact, you'll be able to read my review of it then. 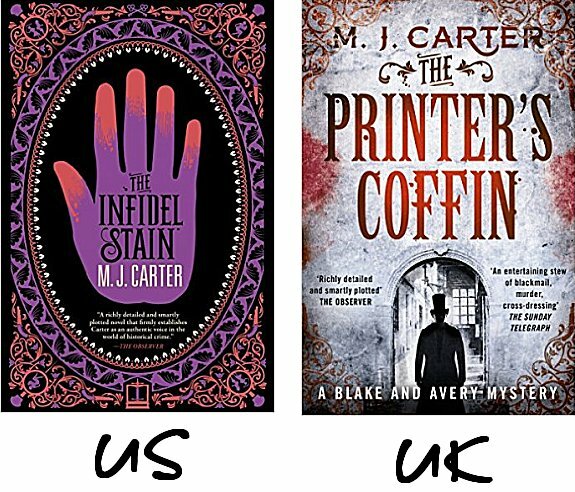 I thought about featuring The Infidel Stain this week, but when I looked at the hardcover and paperback editions I learned that both countries were using the same cover: the cover that's marked as "US" above. But I just happened to see that there was an eBook edition available in the UK that not only had a different cover but a different title as well. You know I couldn't resist temptation like that! Both covers use blurbs, and it doesn't surprise me because this isn't an established series yet. To tell you the truth, the print is so small on the graphics I found that I'm not even going to get into what they say. What I want to talk about is the artwork and the titles. The US edition uses the same cover as the physical book does. I love the colors and the design, but I'm not in favor of this version. Why? (1) I think it should say somewhere that it's a Blake and Avery mystery. (2) The colors and design give us the false impression that The Infidel Stain-- like the first book in the series The Strangler Vine-- takes place in India. It does not. As for the choice of title, I've read the book, and I know that there is a little-known definition of the word "infidel" that the author uses, and her usage is enlightening. To many people however, that word conjures up mental images of non-Christian religions whose followers refer to non-believers as infidels. To put it simply, I think the US cover is misleading. Now for the UK cover. Do I think it's pretty? No, I don't, but I think it's much truer to the book. The Printer's Coffin title ties in closely with the plot of the book, and the font and the silhouette of a man in a top hat give a prospective reader the strong hint that he or she has just picked up an historical mystery. Also, that UK edition mentions that it's a Blake and Avery mystery. Which one wins this week's Cover Off? If it were just down to the Pretty Factor, I'd vote for the US eBook cover; however, I always lean toward truth in advertising, so this week the UK cover wins. When you pick it up, you're going to have a much better idea of what's going to be inside. How about you? Which cover do you prefer? US? UK? Neither one? Inquiring minds would love to know! What a dilemma! What you say about the U.S. cover is interesting, especially since the book isn't set in India and isn't about "infidels." However, I like this cover better because it's nicer and it's simpler. The British cover of The Printer's Coffin is too busy and too much is going on in all different fonts and the picture doesn't draw me in. Anyway, that's my two cents. It may all be a matter of personal taste about the artwork. I like the UK cover better, Cathy, I must say. It just has an atmosphere to it that appeals to me. Yes. If the other has any atmosphere at all, it's one of secrets because it certainly doesn't say much! I agree with you on all counts. The look of the US version certainly makes one think of India, especially with the cover of the first book. Well, I'll watch for your review tomorrow. I haven't read book #1, but I do remember hearing about it. I can see the desire to keep a cohesive look to the covers of the books within the series. In fact that can almost win me over to preferring the US cover! I liked the UK cover better. The US cover makes me think of a sign at a carnival advertising a palm-reader's services. I was hoping someone would mention palm reading because that's something else this cover reminded me of! Maybe I need to read some books set in India, although I just read one by Anita Nair. However, all of this discussion makes me eager to read your review so I can see what "all the shouting" is about, as is said.